This cabinet can vary in size. 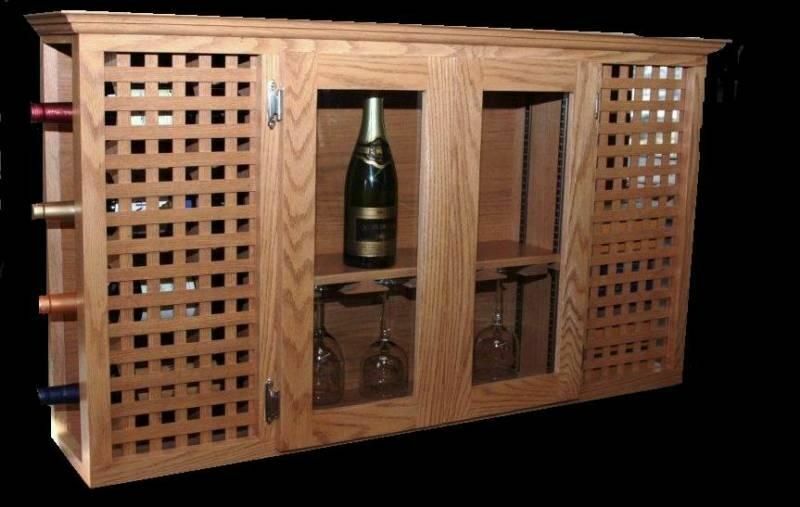 As shown has wine storage for 5 bottles on one end with two cookbook shelves on the other end. 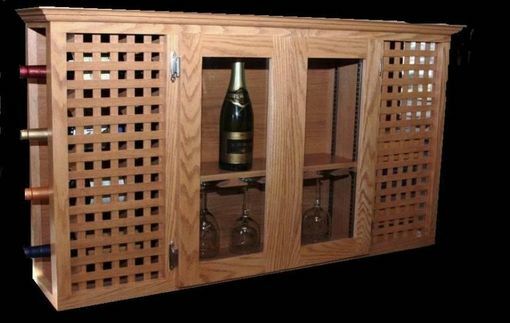 2 glass doors with sheld and hanging wine glass holders make this a nice feature in your kitchen area. Can be done in any species of wood.